26.06.2016. Alexander Stadium, Birmingham, England. The British Athletics Championships 2016. 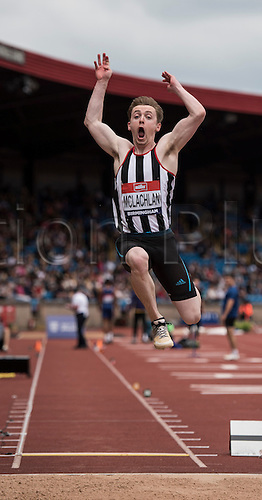 James McLachian Competes in the Mens Long Jump Final at the British Athletics Championships in Birmingham.